Kay's music career began at an extremely young age, and she has been fortunate enough to work as a vocalist in many countries worldwide including Thailand and Australia. Her smooth vocal tones make her performances relaxing and enjoyable, with selections of music so vast she will ensure nothing but crowd pleasing performances. Her saxophone skills have taken her live music act onto another level. With her extraordinary diverse styles you will see her playing romance and jazz during the day, and then absolutely smashing out the club tracks in the evening creating an insane atmosphere on all dance floors! 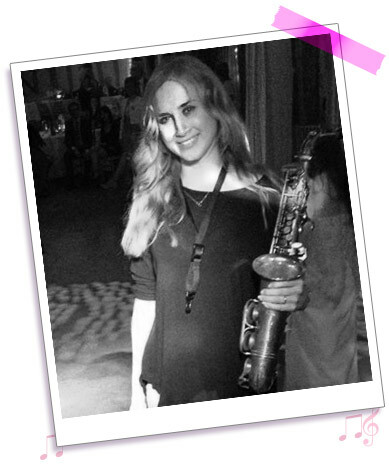 Recently her saxophone playing has taken her to perform in Ibiza and Marbella! As well as the vocals and saxophone, Kay is able to provide the entire Disco, offering an excellent service at a competitive price. Being a female DJ straight away presents a modern alternative to the dated, stereotypical DJs of today. With 25 years in the music industry Kay has the experience, confidence and ability to make any event spectacular, going above and beyond to maintain her reputation in the music industry. Holly (Saxophonist): Holly can regularly be found gigging around the Essex and London area in a varied selection of bands. Although she mainly focuses on playing Jazz, she is equally at home when playing in more contemporary settings. She first studied at Colchester Institute with well known Jazz Educator Malcolm Miles, before going on to have lessons with the esteemed Brian Everington. 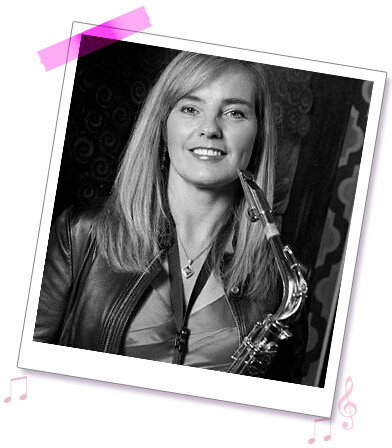 She gained experience through gigging and teaching saxophone both in schools and on a private basis. She can often be found playing in a six-piece Jazz Fusion band in Essex venues, or as part of a Jazz duo/trio scenario in restaurants and at private parties etc. Holly teaches saxophone, from beginners to advanced. 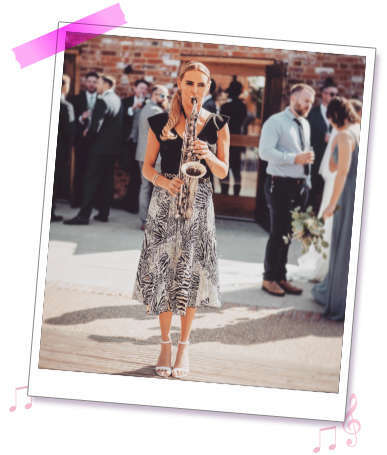 She specialises in Jazz, but can also help you work through grades, prepare you for playing at events, jam sessions or to reach any other personal goals you may be aiming for. For information on lessons please contact her directly at hollysaxophone@yahoo.co.uk or 07796448130. Sue (Saxophonist): Sue has been passionate about music for as long as she can remember. Her memories of learning the recorder and clarinet, reach back to her early school days, where she would later go on to fall in love with the Saxophone. Sue's musical journey has lead to work on cruise liners to six piece soul bands. A welcome addition to Sister Sax Sue has a wondeful easy listening solo repertoire plus sounds amazing working alongside Kay in the Sister Sax duo. 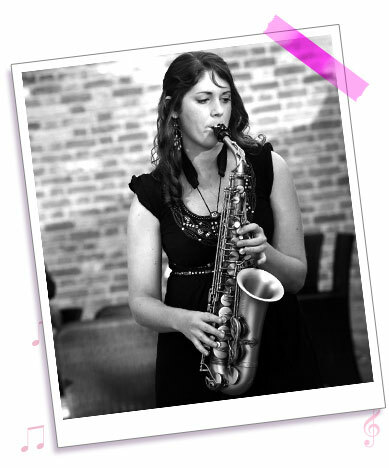 Leanna is an accomplished Saxophonist who plays both alto and tenor saxophones. She has a vast repertoire including smooth jazz, pop, soul, blues and jazz standards. During her 15-year career Leanna has played with jazz orchestras, funk bands, soul bands, function bands, and saxophone quartets. You will find her currently playing solo, with a jazz duo or with her retro 50’s and 60’s band. If you have any questions at all please feel free to call us. Alternatively, you can email us and we will send you out one of our promotion packs, which includes a card, brochure, booking form and latest promotional offers.